If you ever find yourself in Western Guatemala then you absolutely must go to Tikal National Park! It’s like stepping back in time to an ancient civilization and seeing history unfold in front of your eyes. 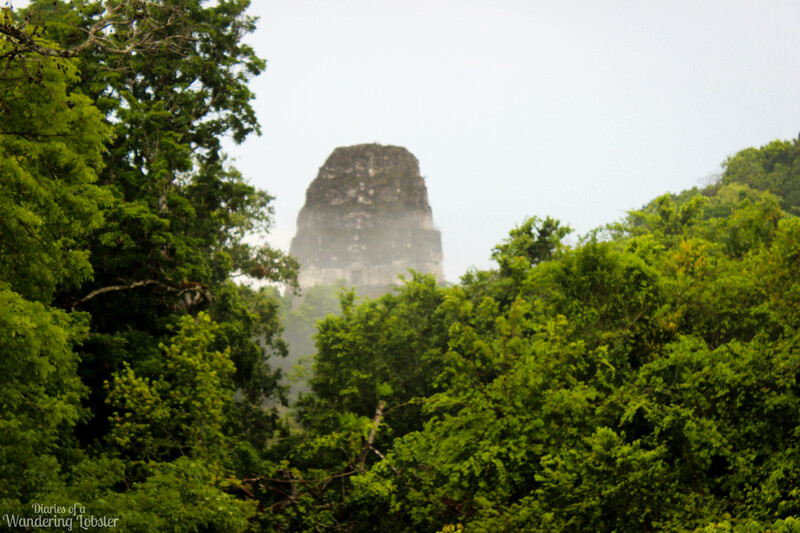 Tikal National Park is located in the heart of the jungle in the Peten Department of Northwestern Guatemala. Tikal is located about 64 km (40 miles) from Flores and Santa Elena. Tikal was inhabited from the 6th century BC to the 10th century AD by the Mayan civilization. Tikal is considered the ceremonial center of the Mayan civilization because it contains numerous temples, palaces, and public squares. Tikal is the largest excavated site in the American continent. 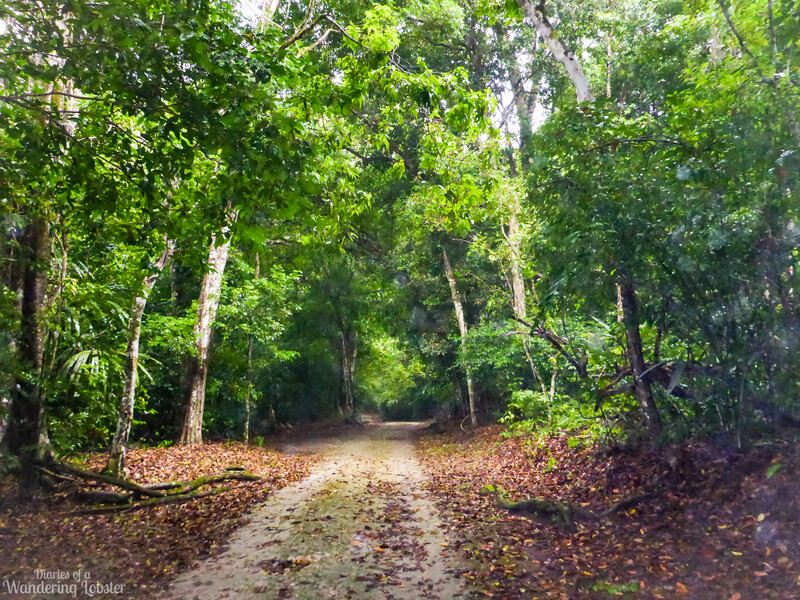 The park comprises of 222 square miles of surrounding jungle. 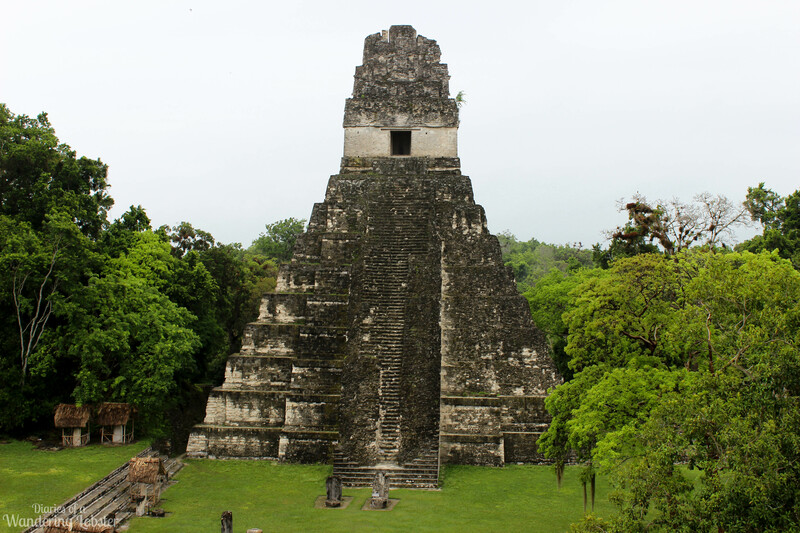 Tikal was declared a national park on May 26, 1955 after being originally named a national monument in 1931. The University of Pennsylvania spent 13 years from 1956 to 1970 uncovering 10 square miles of structures at Tikal. However, only about 30% of the archaeological site is uncovered today. Much of the structures are still covered by the jungle and earth. 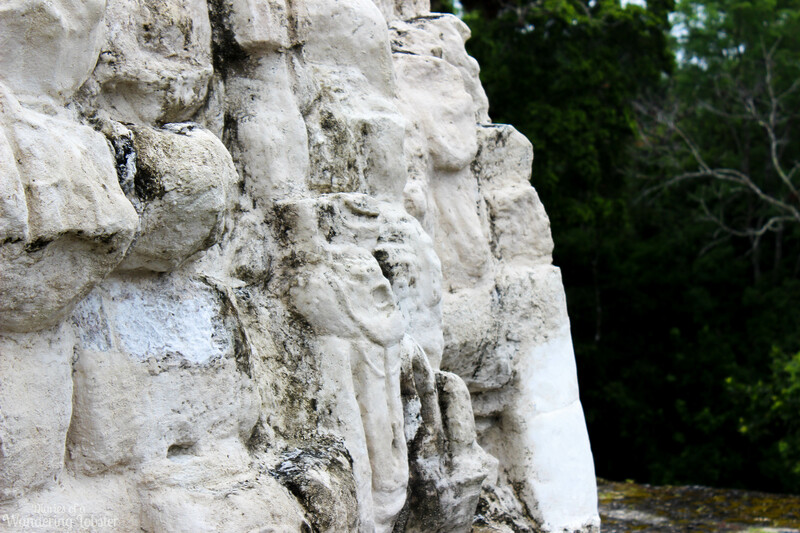 Story has it that in 1848 Ambrosio Tut, a gum collector, discovered Tikal while trekking through the jungle. He saw the temples’ roof combs in the distance and ran back to Flores to inform the governor of Peten Province. 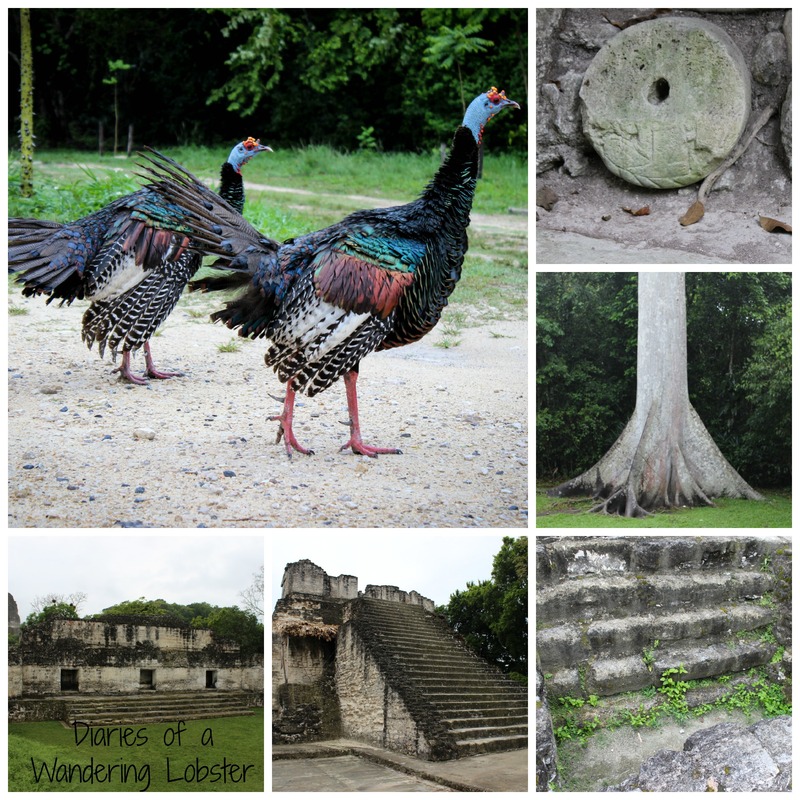 There is much mystery to the Mayan civilization and Tikal in particular. At the height of their reign from AD 700-800, the area housed close to 120,000 inhabitants. In the 9th century, the Mayan civilization began to disappear rapidly. Almost overnight, the city of Tikal was abandoned. Researchers believe that overpopulation and the lack of water in the area led to the demise of the population. After arriving at the entrance gate of Tikal National Park, you still must travel over 12 miles to the beginning of the trails to the ruins. Be prepared to walk a lot. The entrance fee for the park is Q150 or about $20 USD. You can only pay in Quetzals so make sure you exchange money prior to arriving at the park. As you enter the park trails, you’ll be greeted by the Ceiba tree, which is Guatemala’s national tree and is probably well over 200 feet tall! 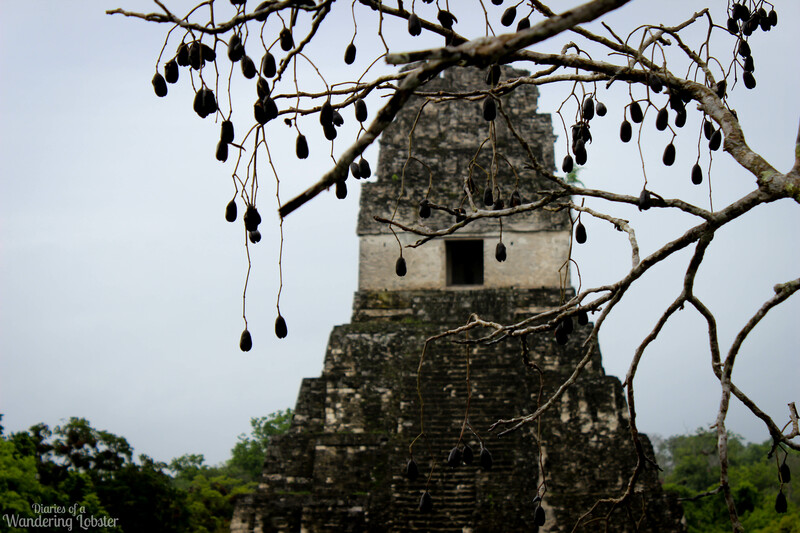 The Ceiba tree was sacred to the Maya because it’s roots are believed to connect the planes of the underworld. You’ll soon arrive at a fork in the trail where you have three options. The middle trail is the shortest route to the Grand Plaza, which is probably the main focal point of the park. As you make your way to the Grand Plaza, you’ll pass Group F, which served as the market place for the Maya. The structure is still mostly covered by dense jungle giving you idea of what Tikal looked like for early explorers and archaeologists. The Grand Plaza is comprised of Temples 1 and 2, and the ball court housed between the Central and North Acropolises. Temples 1 and 2 construction was ordered by Ha Sawa Chaan-K’awil (aka Ah Cacaw or Ruler A), who brought Tikal back to wealth and power after a series of wars. Temple 2 was finished during his long life (he lived between 60-80 years old) and Temple 1 was finished by his son and served as Ha Sawa’s burial site. Temple 2 stands at 122 feet (38 m) tall and Temple 1 is 144.36 feet (45 m) tall. The Maya considered Temple 1 to be the portal to the underworld. Ha Sawa was buried in the interior of the tomb, which was very untraditional as the rulers of the past 500 years were all buried in the North Acropolis. Ha Sawa was almost 6 feet tall! I overheard a tour guide tell his group that step height was determined by the tiba-fibula length of the ruler. I’m not sure if this was true or not, but I can tell you those steps were big for my little legs! Temple 1 is also known as the Temple of the Jaguar because the carvings in the lintel (door frame) show a king sitting on a jaguar throne. Temple II sits directly across from Temple I. Temple II is also known as the Temple of the Masks. Tourists can climb to the top of Temple II via the wooden staircase in the back to get stunning view of Temple I and the Grand Plaza. From the top of Temple II, you can view the carvings of masks. From the top of Temple II you’ll see tour guides clapping their hands. Don’t worry, they aren’t crazy. The combs serve as ancient acoustic amplifiers! High priests could easily be heard by all during ceremonies. On the ground on the plaza you’ll see giant stones. Were they seats? A Table maybe? Nope, the Mayan sacrificed people over the stones. The Acropolises are a great place to climb around and see birds. I got to see quite a few parrots up close. They aren’t very quiet either. To the south of the Grand Plaza through the jungle sits Group G or Palacio de las Acanaladuras. The palace is the possible home to Yik’in, the son of Ha Sawa. When we were visiting in May 2014, the palace was under construction. Temple V is also not far from here and is currently under construction as well. Temple V dates back to AD 700 and is built with the architectural style of the Early Classic period. It is the second tallest temple at 187 feet (57 m) tall. To the East of Temple II is Temple IV or Templo de la Serpiente Bicefalcia. Temple IV is the tallest temple standing at 230.98 feet or 72 meters falls. Unfortunately, Lindsay and I didn’t make it this far, which is my biggest regret at Tikal. Guess I just have to go back! Temple IV was built around AD 741 to make the reign of Yik’in Chan K’awiil. Archaeologists believe his tomb lies undiscovered somewhere underneath the temple. Tikal was made famous after George Lucas filmed a scene of Star Wars from the top of temple IV. Temple V – Can you get an idea of the size of these temples? 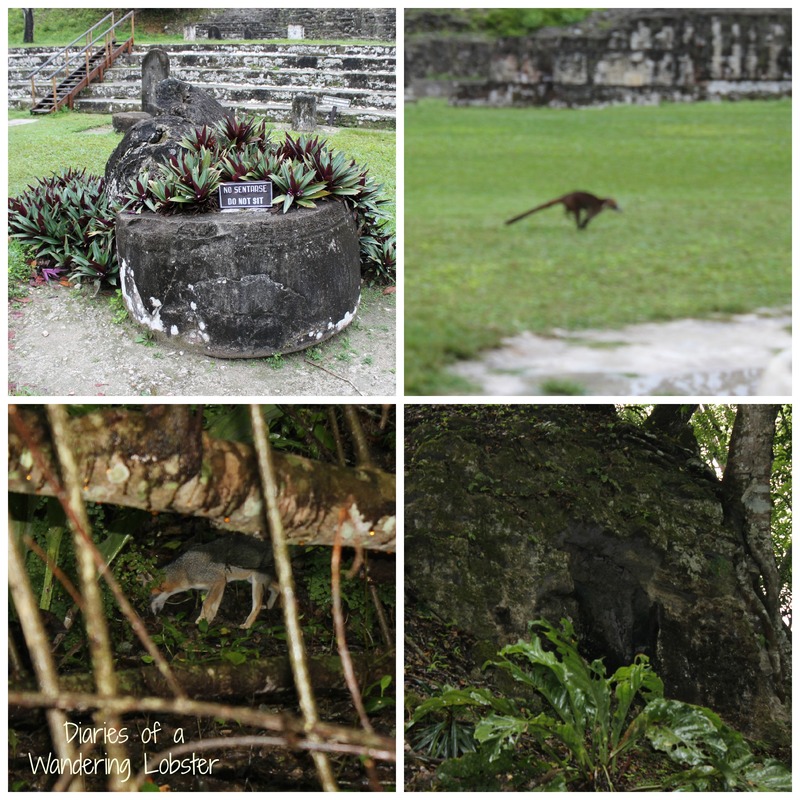 To the North of the Grand Plaza are complexes O, P, Q, and R. Over 54 species of mammals live in Tikal, including the howler monkey, spider monkey, anteaters, tree-toed sloth, and the jaguar among others. Over 333 different species of birds also make Tikal home including the ocellated turkey, red macaw, and parrots. The best times to see wildlife are at dawn or dusk when many of the animals are most active. While we were at Tikal in the morning, we heard howler monkeys, but could not see them. Boy did they may a racket! Tikal National Park is a very special place. Not only is it a major historical site (it became a World Heritage site in 1979), but it is just plain cool to explore. 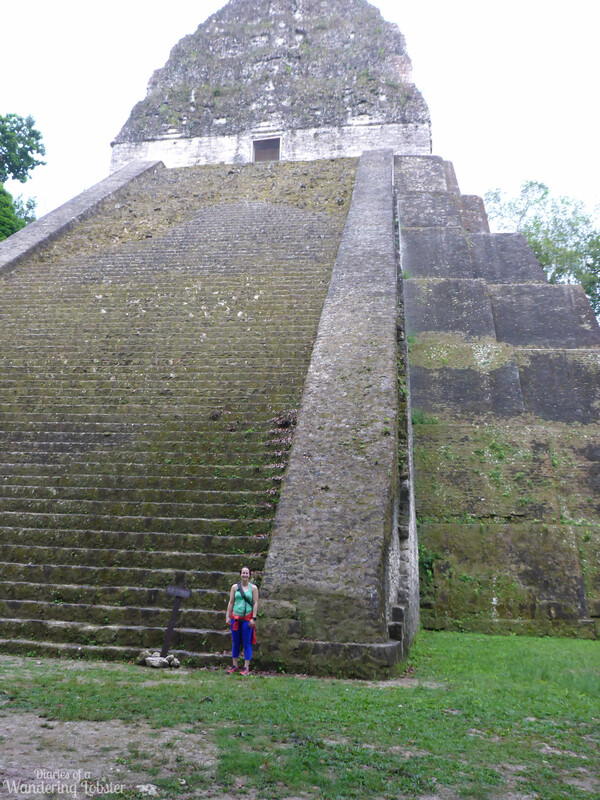 Lindsay and I were at Tikal during the tail-end of the busy season and only saw a handful of tourists. 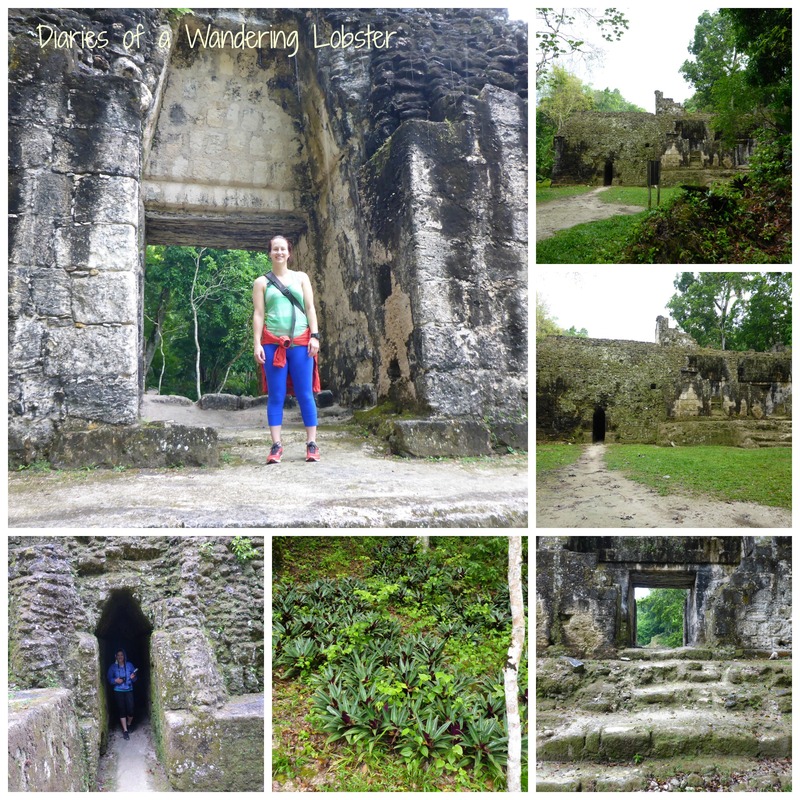 It was truly unreal exploring the jungle ruins of Tikal. The Mayan culture and history is absolutely fascinating and to see it in person was truly a treat. I will certainly be back to see Tikal again in the future and hopefully finally be able to go on the sunrise tour! How to Get There – Take a bus (tour or local) from Flores/Santa Elena for the day. You can also stay overnight at one of the park’s hotel or camp. I highly suggest this if you have the time and money! It’s about a 2 hour ride and costs about $10-15 USD. It will only cost a few dollars if you take the local bus, but will take a lot longer. What to Wear – Wear shoes! You’ll be walking a lot and it is become slick if it rains. Hiking clothes or active clothes are best since you’ll be trekking and climbing temples. Bring a rain jacket during rainy season as you will get wet. What to Bring – Water! You can buy water and snacks there as well, but it will be more expensive than if you bring some with you. A camera is a must and perhaps binoculars if you want to see the wildlife in the distance. Cost – The entrance fee is Q150 and must be paid in Quetzals. If you do either the sunset or sunrise tour you must pay an additional Q100. Tour guides vary in price and are usually booked back in Flores/Santa Elena. You can do without one, but if you want to know more about the history and wildlife then they are worth the price.